Have you ever felt like right when things start to look up for you then suddenly out of the blue you get hit with something that takes you backwards? Or possibly you hear God about amazing things coming but the opposite seems to be happening in your life? Do not worry, because this is actually quite common. Just before a breakthrough in your life, things will often break down. Do not be discouraged if you might be going through a difficult time or things look opposite than you expected. Though it is not God’s will for us, it is common to experience breakdowns prior to getting a major breakthrough in your life. There are many examples throughout the Bible where things looked opposite before a turnaround. It requires us to step up and contend for whatever it is that we might need. In the midst of over two years of trials with my health, I continue to contend for my full healing. All that is happening is not from God and there will be full restoration for those who do not give up. We have all been on the verge of a breakthrough for the past few years. Things start to happen, or begin to change, and then it seems to taper off and subside. These are given to us as deposits to what is coming. There is breakthrough on its way, even if it is incrementally smaller or in different areas of our lives than we have expected to see. We are being challenged in how we think and view situations. God is using these trying times to strengthen and prepare you for what is coming. God is strengthening and preparing you for what is coming. I have written about this previously but I feel it is worth repeating for now. We really are in a time similar to David in 1 Samuel 30. David had numerous prophetic promises and had been anointed to be the next king but Saul, the current king, was trying to kill him. As we do something new, there will be opposition from those who do not understand. David’s breakthrough happened after what did not look much like a blessing at all. In fact, it came after a tremendous amount of loss (1 Samuel 30:6). Live each day with gratitude and joy while focusing your hope on the future and not the current situation. At the same time, enjoy the present and make the most of every situation. God is about to use what seems like a setback to propel us into our destiny at a greater level. The next few weeks are going to be interesting. Here is a prayer strategy you can use that will help you gain insight. • God, reveal what promises are for now and what are for later (timing). • God, show me what the enemy does not want me to see (discernment). • God, allow me to be seen as You see me, not as the enemy wants me to be seen (favor). • God, repay and release what was stolen and held back by the enemy (justice). • God, show me how to practically respond (wisdom). Do not give up. Keep your focus on what is ahead and forget the things that lie behind. Each day is a brand new day! Your faith is more precious than gold. It’s the greatest gift and grace we can have. If you are born again and you preach to win souls to Christ save, you are a big threat to satan’s kingdom. He will throw everything and anything at you to make you cower in fear. Marital problems, financial problems, illness and disease. satan hates your guts and is jealous of believer’s. He will try to shipwreck your faith at every turn. We have the Promise and doesn’t. Greater is He who is in you than he is who is in the world. I am facing sore trials right now. I have been confused the past two weeks. My prayers have been lukewarm. I haven’t read with same enthusiasm. I stumbled onto the site, not by accident. I needed wisdom. Like a child cleaving to its mothers breast, I feel upon my knees, upon awakening. Lord, why I’m i so foolish? The Apostles lived with Him. They saw all of the miracles as eyewitnesses. Yet they were terrified of sinking in the boat. They awoke the Master saying Lord, Lord do you not care that we are perishing? Jesus rebukes the storm and questions they’re faith. God is never sleeping in our lives, just in control. We are not much different than they were in terms of having our faith shaken. We see the storms in our lives around us, and instead of keeping our eyes on Jesus, we become afraid of sinking by looking at the storm. Just as Peter did. The closer you get to breakthrough, the more trials we will suffer. It’s a given. I believe the Lord does this to balance our faith. He loves just weights and balanced scales. He wants us to have the same faith when things are not going so well, as when they are. Will we be able to praise Him when our earthly lives are not going so well? No matter what the, keep your eye on the prize. I’m so glad you stumbled onto our site Edward. It’s great to have you and to hear your heart. Doug just did an awesome podcast that you might find helpful during this season, https://dougaddison.com/2017/04/how-to-awaken-the-treasure-within-you/. It may help encourage you! The Lord is preparing us for greater things, always. We will face various forms of persecution, and this includes our spirtual foes. Even in sore trials, we must run this race for endurance. Satan will certainly try and sift your faith. He did I’d with Peter. Jesus has already prayed for us, that our faith will not fail. We are not experiencing anything unusual. This is the norm. It hurts us when we face disappointments and outright pain. The Lord is close to the broken hearted and saves those who are crushed in spirit. And if we fall into sin, we have our High Priest to confess them to and strengthen us in our battle. The sacrifices of God is a broken spirit, a humble and contrite heart thou will not despise. Anyone who comes to Jesus Christ, He says in no wise shall I cast out. Jesus never said it would be easy, but He said it would be worth it. So in trials, and temptations, is the time we must cleave to Him, intensely. I once heard a saying: God must be up to something if the devil is fighting you this hard. Stay strong in the Lord. Wait on the Lord. I am reading Deb’s feeling at serial no. 34 above. Four years plus, it seems like there is no God. Dough please pray for my good health and that my reports in next two weeks are normal, that my land is not grabbed but I am able to sell quickly and that my husband who cheated me and disappeared in Sydney kenneth fernandes that God touches him and blesses for all the misery I and my mum are going through evver since he married me in india, cheated and disappeared. I feel as though no matter what I try, I just can’t get anywhere. I feel like God’s hand is upon me. I have burnt out 3 times over the last 3 years trying to start up something new and it did not work. I have got angry with God and asked him “What do you want from me?” He is testing my faith and resolve I know this. Living in a country where there are no other family members and I am also divorced. I must learn patience and endurance along with keeping the faith and hope but it is difficult sometimes. This reminds me of the song “Break Every Chain”. Along with breakdown, I believe we must allow the Holy Spirit to help make us vessels fit for God’s purpose in our lives. It’s about 5:26 am in the morning on April 7, 2016 and I see God in this message. It has been such a roller coaster ride for the past 6 years. I just received another setback and I thought this was the breakthrough I was looking for, it just seemed to go so well and boom, it hit me hard again. I just told the Father, not in my own strength, not in my own strength. I threw up my hands today and said I was done but here goes God through this message in the wee hours of the morning. I am contending for God to finally fix and BLESS my marriage. My marriage being blessed is connected to the going forth of my gospel ministry for the Lord. God showed me in a dream back in the eighties that my marriage and my ministry would be blessed. I am holding on today to that dream. Many times it is so hard to hold on, but I remember the dream and what God showed me. Doug, thanks for your encouragement. Doug and fellow believers- thank you for your prayers in the sale of our home in NC. In fact the times I’ve requested prayer on the sight we get showings. Twice now we’ve been the 1st choice but unfortunately they’ve chosen the other home. School starts 8/12/2015 in Birmingham for our daughters senior year. I’m confident God knows best but to watch my husband prepare to travel 7 hours by car every Monday since he began April 6,2015 is taking its toll. He over slept this am due to fatigue. Please pray our house sell soon and the one we found in Birmingham(a hot market)be available when we can put an offer in. Thank you for this article of encouragement! Your prayers are greatly appreciated!!! Came home from work and was praying as I walked around the house. I stopped and said “The Battle is always the most intense before Breakthrough.” I then check your website and see this Word posted. Right On Time. I have also been seeing 8:18 on the time and license plates, Father God gave me Romans 8:18 and this is confirmation. God Bless You Doug. Hi Doug, you are so spot on with the daily words and this blog in particular. Please note that you are a true blessing from God for His body. Thank you, thank you, thank you. Blessings to you and your family!!!! Thanks again for a very right on word. Been contending for a very long time. I believe in what you said. 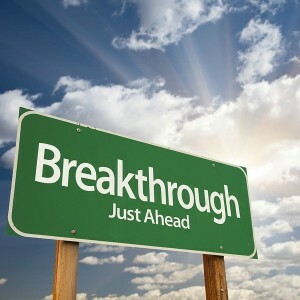 Breakthrough is coming!!!!!! God bless you Doug! I’ve been experiencing this opposition for the last 12 years of my life concerning my destiny in Christ Jesus! I thank God for you, Man of God, Doug Addison and the prophetic revelation that you carry for the Body of Christ in this NOW Season of Breakthrough! God bless you! Thanx Doug, you have nailed it again! Thank you for sharing this word. It is timply and describes exactly what we are experiencing. Just yesterday I felt a strong leading to read David’s story, and of course, here you are confirming the Word! So thankful that the Lord spoke to me 9 years ago to pray for you and Linda, for InLight Connection, and to learn from you. Blessings upon blessings to you, Friend! AMEN / DOUG and may I? I bless my brother with 100% healing from that which he has battled! Bring it/him to full restoration of that condition that has “tried” to overcome him. He is a magnificent man of GOD and it is time for his BREAKTHROUGH! IN JESUS NAME AMEN! thank you for sharing.im so going through lots these days. I feel like giving up. This prayer equates Satan’s wisdom with the Lord’s. What if there are things that the enemy doesn’t want you to see and the Lord doesn’t want you to see them either? If Satan would have known everything he would not have crucified the Lord. This prayer may sound good at first, but it is using Satan’s wisdom and knowledge as a basis for what you want your Heavenly Father to show you — and this is not “wisdom”. Why not simply ask your Father in Heaven to show you all that “He” wants you to see? Quite encouraging,kindly help me to pray to God, av not been having a steady family 2 women has left with the children and for God to provide me withdrawal my daily bread Amen. You’re a rare gem from God, Doug Addison ! I always can rely on whatever the Lord gives you to give me that good ” Ah Hah ” moment that I always need just when I need it ! Blessings to you All ! ! Thank you for sharing this timely encouragement today, Doug! Contending with you and yours to seek FIRST His Kingdom and His righteousness- Many Blessings! Think I need wisdom to know if I need to contend or be contented. Especially after prolonged period of delay to prayers..i wonder if my energy is spent unnecessarily because i didnt learn to be contented or should I continue to contend…it can be confusing. I pray for revelation of His Dream for my life and in that I may discover my uniqueness, my calling, my identity. Oh my gosh yes! We are in the time similar to David. God spoke to me a few years ago about I Sam. 30:8 that we were the generation that was called to pursue, overtake and without fail recover all. The last few weeks He has been bringing this back to me again. This time I Sam. 30:18-19. David recovered all. And nothing was lacking either great or small, sons or daughters, spoil or anything which they had taken from them David recovered all! Exciting confirmation from you Doug! We all must continue to contend because God has given us His promise of recovering all! Recover means to find and retake possession of. That implies we have to take it by force and by being relentless. Thanks Doug, I needed to hear this word. Doug thanks for this blog. I feel like things that have been shaken have been shaking. I have also begun to pray for you. Thanks for this encouraging word, I claim this word for my life in Jesus name. Thank you Doug. Your messages are so encouraging.